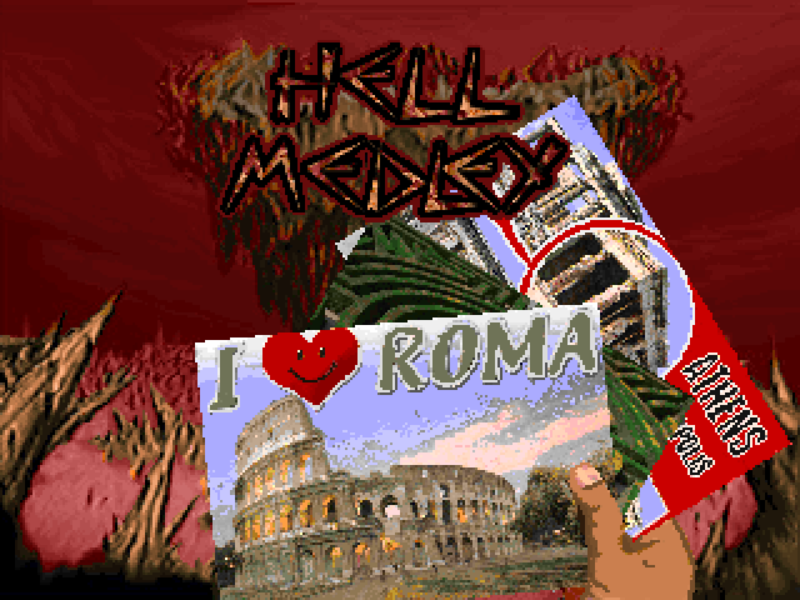 Hell Medley was uploaded to the /idgames archives in 2005 but it was available elsewhere as early as April of 2003. It will probably remain the relatively obscure first work of a Czech powerhouse who went on to tag team Kama Sutra with soul brother Jakub Razák; rescue Plutonia 2 from the disinterest of Sam Woodman; and might right now be polishing the almost-finished KS2! I'm talking about Adolf Vojta, of course. MEDLEY was originally ADA and is a collection of the author's earliest levels (initially crafted in elementary school and then tweaked during HS) spread out over the original Doom's first three episodes plus one from his friend who introduced him to WAD editing. 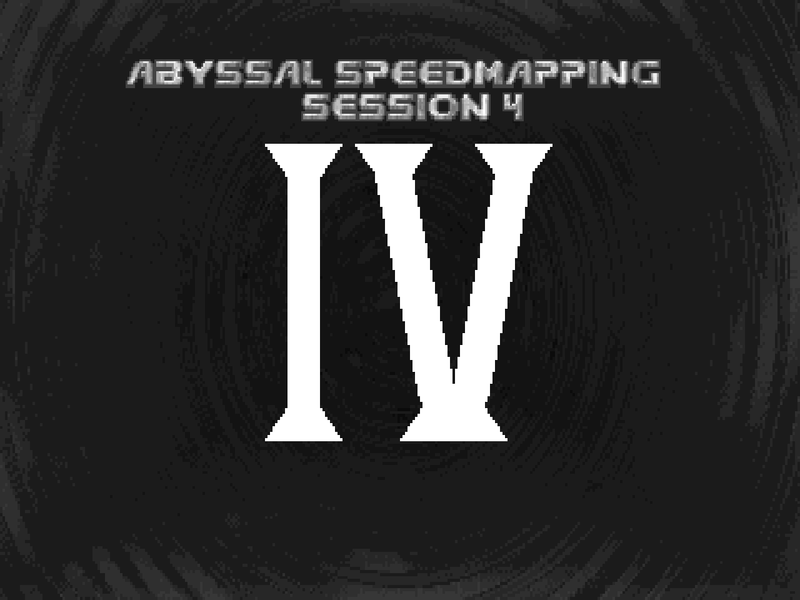 The final product includes sixteen maps replacing E1M1-E1M3, E1M8, and E1M9; E2M1-E2M9; and E3M1 and E3M9. MS was a fairly prolific author of maps if not at the same production rate as workaholic wunderkinds like Paul Corfiatis. His biggest claim to fame was his CHORD series, probably followed by his contributions to The Talosian Incident as part of Black Star Coven. 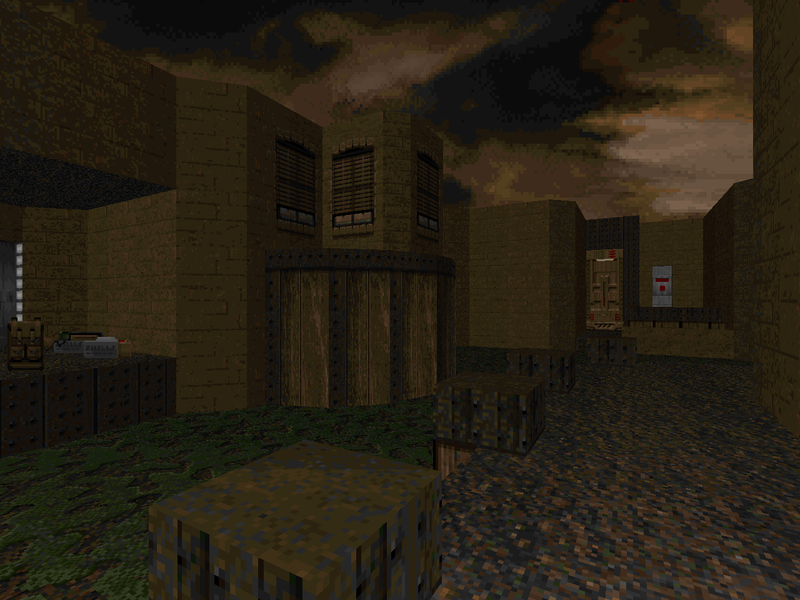 The former showcased outstanding architecture, lighting, and grueling combat while the latter had him developing short but scene-setting levels to further a narrative through the limitations of idtech1's gameplay. 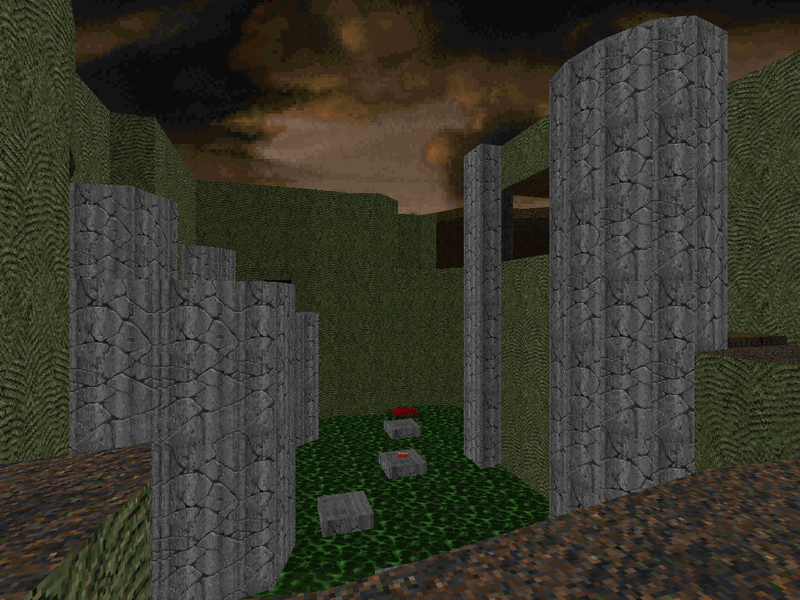 His work on TALOSIAN may have ultimately directed his talents toward the aesthetic of the CHORD levels but I'd like to think that NOSUN - a MAP01 replacement for Doom II who also kicks off its own sequential series - is the work that caught John Bye's attention. There are a few things that I've observed to be more or less consistent through memfis's authorial career. 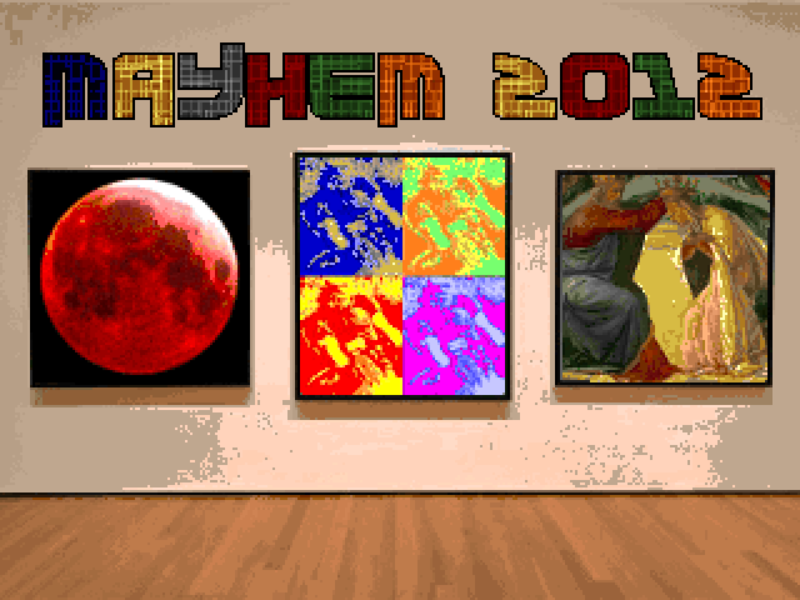 He prefers to make small levels; draws inspiration from older PWADs; and is fascinated by the works of outsider groups. I believe that all of his solo releases are in packages of six levels or less and Kashimir is no exception. 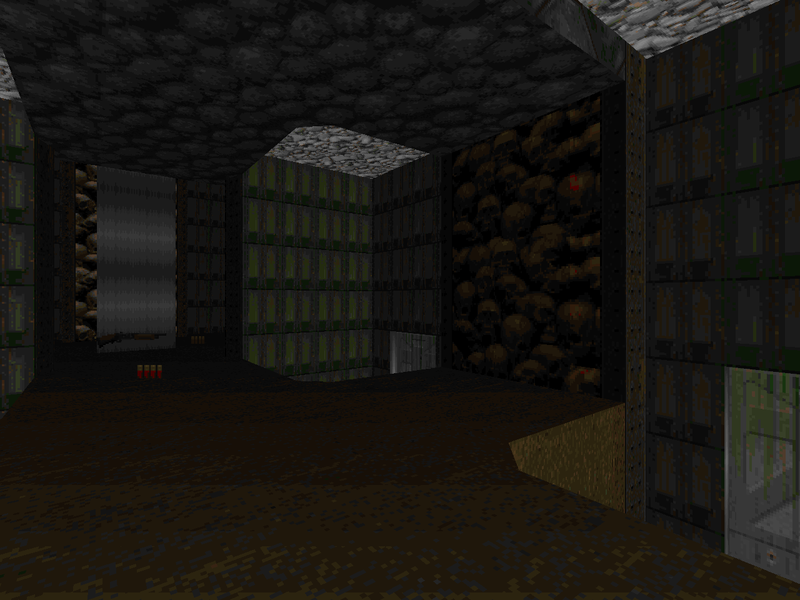 Published in 2011, it's a MAP01 replacement for Doom II meant to be played in any executable. The author has mined two particular sources and both are cited in the accompanying .TXT - the infamous Nuts, and the community's capstone for the golden age, Requiem. 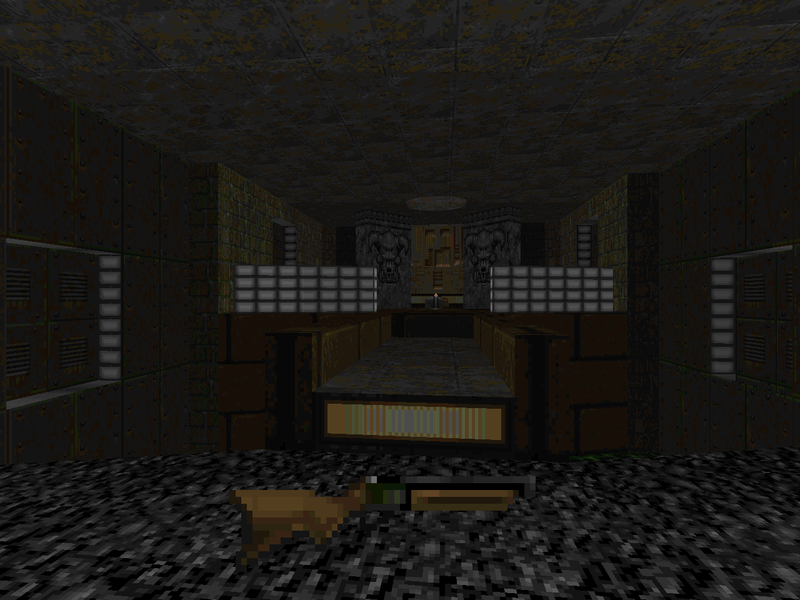 The man who composed the CHORD series had a pretty meager start to his authorship (DARKER) but by his third major release - DS-61-3.ZIP, a collection of six PWADS packaged in a .ZIP file - he was making maps that would have easily fit among the Master Levels for Doom II. GOAWAY09 furthers his trend. Originally uploaded alongside the beginning of his NOSUN series in 1996, this MAP01 replacement eschews the Quick is Good philosophy made manifest in the previous release and aims at something a fair bit larger if not just as challenging. He didn't abandon his direction toward short bits of action; more on that later in SHRTHARD.